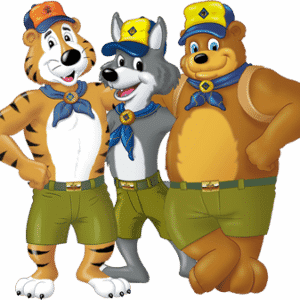 If you had a magic wand, would you use it to make the Scouting program better and more fun for youth so they stayed in Scouting longer, so it had a larger impact on their lives? What if the same magic wand made leadership roles easier, more rewarding, and led to better retention among adult leaders? Would using that magic wand be a top priority? Well, such a magic wand does exist – in the form of training for leaders in the Boy Scouts of America. Common sense tells us that training is important and research shows the importance of trained leaders. A trained leader is knowledgeable and more confident in the role being performed. Trained leaders exhibit a knowledge and confidence that is picked up by people around them. Trained leaders impact the quality of programs, leader tenure, youth tenure, safety, and a whole lot more. A trained leader is better prepared to make the Scouting program all it can be! All current or future Cub Scout Leaders are invited to attend this Lake Minnetonka training event at the October Roundtable. The training sessions will focus primarily on the specialized training that is required for your leadership position. Training at Roundtable is FREE! Pre-registration is highly suggested. Please register if you plan to attend . If you have completed your online ‘Youth Protection’ and ‘This is Scouting’ training, please bring your documentation to the session in order to receive a confirmation card. Take your confirmation card to the Scout store to buy your ‘training strip’. Otherwise, please visit the district website – Programs/ Training to complete your online training prior to attending the October Roundtable training class.